Zoe helps companies build brand impact into the fabric of their businesses and commercial strategy. Zoe completed Marketing Academy Scholarship whilst Head of Ginspiration (Marketing) for Sipsmith, shepherding the brand’s fast paced growth and visibility before being successfully acquired. She went on to led Brand and Client Experience at multi-award winning Killik & Co, helping people save, plan and invest for their futures. Over three years she helped the Board pioneer a fresh approach for the business, enabling them to appeal to the next generation whilst maintaining growth with their traditional market. 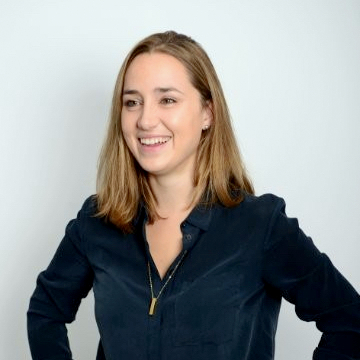 Prior to that Zoe worked as a Strategy Director at eatbigfish and Adelphi, where she worked on a range of brands and businesses from PepsiCo, Unilever to Pfizer and the BBC. Zoe started her career as a fast track graduate with Omnciom’s DAS division following a degree in Politics, Philosophy and Economics from Trinity College, Oxford and a post-graduate in Psychology where she focussed on behaviour change.